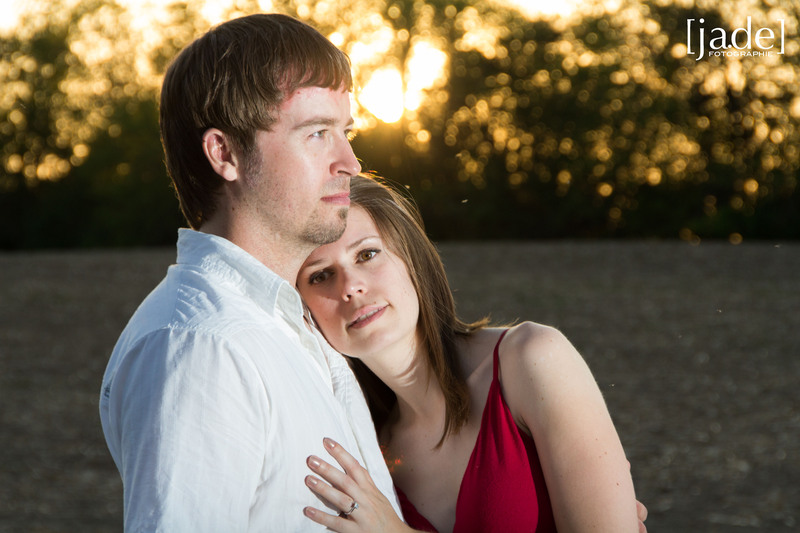 We had a gorgeous, if not a bit hot, evening for Danette and Brad’s engagement session. 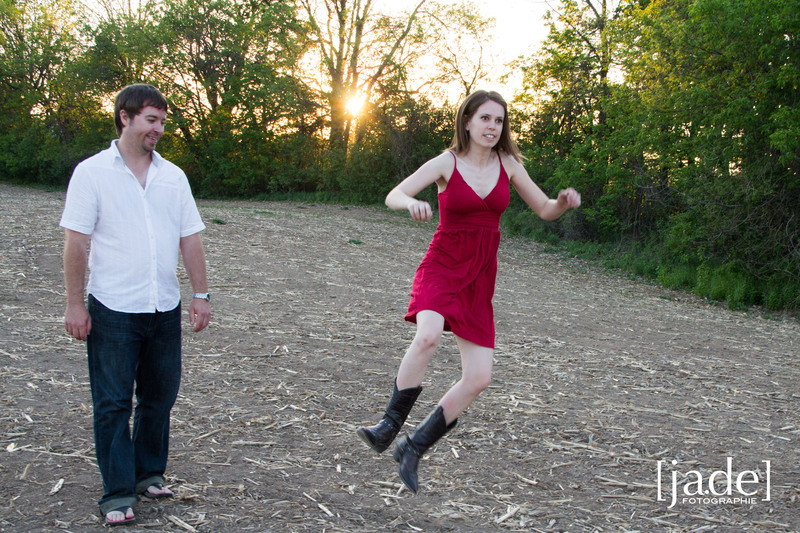 On a little road just outside of Waterloo, we found some neat locations to create some hot pictures as well… Danette rocked her little red dress and cowboy boots! 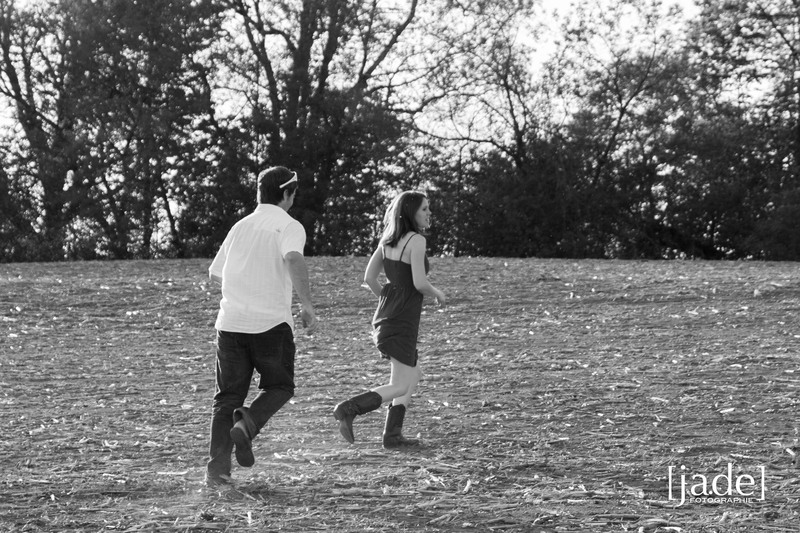 The beautiful love this couple shares shines through loud and clear in the pictures. Brad worked for this kiss…he had to catch Danette first! I love that Danette knows how to kick up her heals…I am looking forward to their big day in August for more heel-kicking fun. We even have a post-wedding session with Danette’s horse scheduled! I can hardly wait. 🙂 Thanks, Danette and Brad for a great evening!